The past few months has seen a flood of articles surrounding online journalism lay-offs, the future of digital media and the decline of journalism. And while this piece joins that growing list, I write to pose the question: What happens when we can’t keep up with the demands of our social media platforms? In an expository piece exploring the fear of broken online journalism, Jim Waterson, media editor of The Guardian, wrote that “in the modern world of mobile consumption, most sites are just another form of distraction. Their competition is not just rival scoops – but a vast online ecosystem of entertaining, shareable and social content”. It can often feel like the worth of a post is determined by how shareable the content is, or the reactions it receives, rather than its quality or the depth of these reactions. I do not believe that if Facebook failed and Instagram became grossly unpopular, marketers would lose their jobs and companies would revert to ad columns in newspapers. But I do often wonder where our work lies beyond beating constantly changing algorithms and meeting ad spend price points. We work in an industry that demands we adapt constantly and in which our success relies on the temperamental nature of our advertising hosts, Google and Facebook. When publications like Buzzfeed first began flooding our feeds, they attracted users with highly shareable and relatable content, beating the algorithm and achieving viral status time and time again. As Facebook’s algorithm has consistently changed (and, presumably, will continue to), it has become a more hostile and difficult home for online publications. On a personal level, I too have fallen victim and felt taken advantage of by forever changing algorithms. You would have to be verging on robotic to have not felt the crisis of confidence caused by the difficult-to-master Instagram algorithm, limiting the number of followers your unpaid content was shown to. Many influencers desperately posted story polls titled ‘did you see my latest post’ followed by self-promoting ‘turn on notifications’ captions in a bid to not lose their engagement … and their pay-checks. With the notorious algorithm change of early 2018 came conversation among friends and influencers around boycotting Instagram. But where else could we go to post our travel photos and outfits? 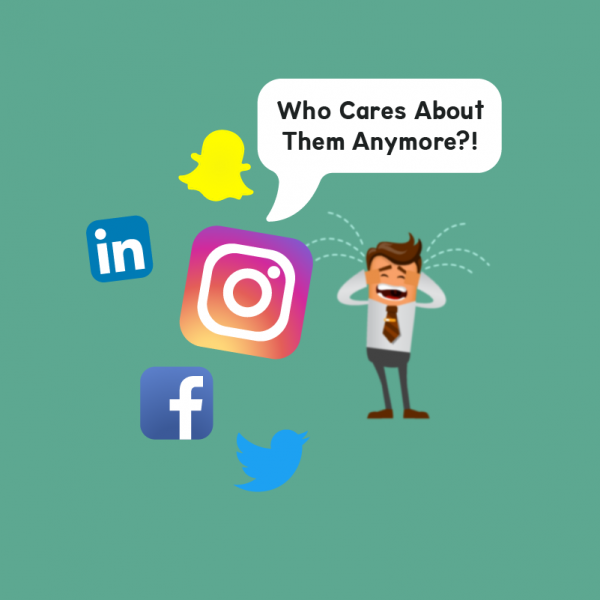 The solution was to either care less or for work more to (try to) keep up with the social media giant’s trajectory towards preferencing sponsored content. Depending on the depth of our pockets, digital platforms provide social media marketers a potential daily audience of millions, and that is why we stick around. But where can we turn in a desperate attempt to reclaim our power and make ourselves heard? Amid doubt around its profitability and questions about the future of digital media, Buzzfeed ‘printed out the internet’ and handed out a special edition newspaper.